Serre comes from the French language meaning tight, fine or cramped. However, when combined with flooring to form Serre Flooring, a whole new perspective emerges. Some of the best examples of Serre flooring are the mosaic patterns of Ancient Rome. Although they are not the originators of the art form, the Romans are best known for revolutionizing the art form by being the first to create mosaic patterns. Mosaic art has a long history dating back to the 3rd millennium BC. It is an art form that uses colored glass, stone and other types of materials to create designs, patterns, pictures or wherever your imagination takes you. However, most mosaics are commonly made of different colored glass that is rough cut, flat and small. Most floor mosaics are made of small round pebbles called pebble mosaics. Mosaics found at Abra, Mesopotamia are examples of the earliest known works that were made of different materials. They date back to the 3rd millennium BC, and were made of ivory, shells and colored stones. Evidence of the first known glazed tiles dating back to 1500 BC discovered during excavations at Susa and Chogha Zanbil which are both locations in Iran. However, patterns were not used in mosaics until the time of the Roman ere. Pebble or floor mosaics have been found at Tiryns (Ancient Greece) dating to the Bronze Age. In Macedonian in the palace-city of Aegae mosaics were discovered dating back to the 4th century BC with many more examples of mosaics discovered in various locations and times. Greek examples of figural mosaics dating back to the 3rd century BC would include mythological subjects; scenes of hunting which then like today is example of wealth. Often the ancient Greek figural would have been adapted to paintings or copied as a prestigious art form which was adapted by the Romans. Today the designers of www.mosaicmiro.com are the leaders in a variety of intricate mosaic patterns and designs using an array of colors, shape, sizes and materials. Productions include indoor floors, walkways and patio flooring, walls and countertops. 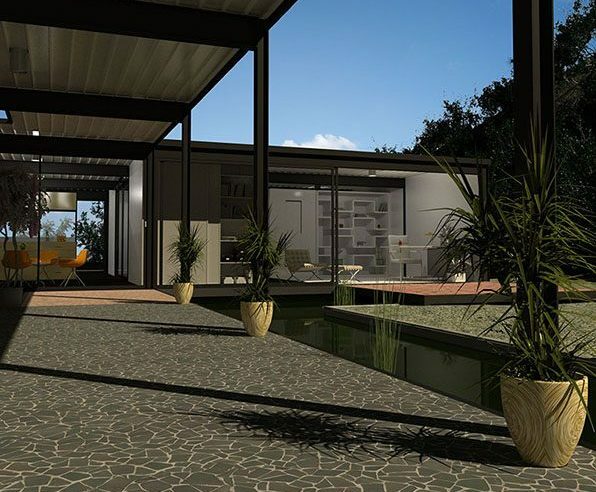 A brief list of designs would include Palladiana, Terrazzo, Figuras, Standed and many more. The professionals of Mosaic Miro specialize in all the areas of mosaic development to include the design, sales and production of the most natural and contemporary finishes to your home or office. It is the goal of Mosaic Miro to continue to expand their already incredible inventory of the finest materials possible. 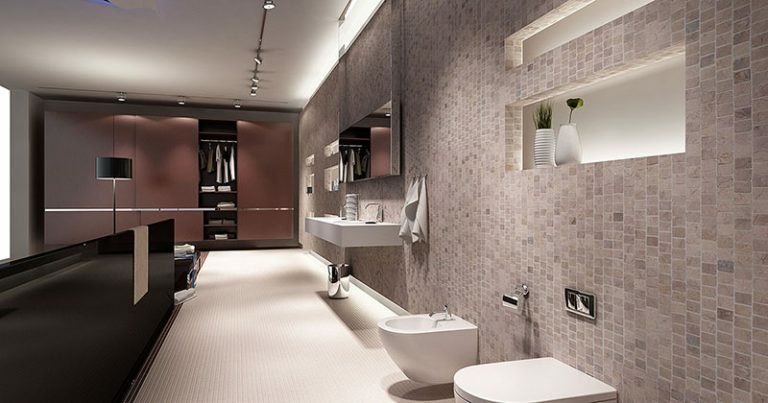 There are quite a number of ways the interior look of a bathroom can be improved upon. Some might opt for more grandiose and costly methods, while others will focus their attention and budget on simpler strategies. Among the most effective, simple, and, yes, inexpensive methods to employ would be to purchase quality wall tiles for such a highly trafficked room in the home. Once new wall tiles are in place, the overall look of the interior changes for the better. The walls of a bathroom can look a bit dull. While painting a wall white can be a very simply and safe strategy, The problem with walls this color is they are extremely dull and the interior never lives up to its full and real potential. Once again, the bathroom, along with the kitchen, is a highly trafficked room. Since everyone in the home spends so much time in it, making the interior look as best as possible is strongly recommended. Wall tiles can come in many different designs. Of course, it is possible to acquire solid color wall tiles to create a very simple look. Nothing is wrong with a look of this nature unless you are interested in presenting a much more visually attractive look. For those who do want something original and more appealing, tiles with floral, geometric, and linear designs are all available. Once unique wall tiling is remodeled into the interior, the look of the interior may very well change for the better overnight. The installation of wall tiles is not very difficult in any way. Granted, some work and effort is required and the installation has to be done properly. That said, hiring a professional contractor might not be necessary at all. There are scores of DIY guides that cover all the various steps required for tearing off the old tile, cleaning the wall, prepping the new tiles, applying the adhesive to the tiles, and then, finally, putting them on the wall. Once done, the look of the bathroom will change for the better. The amount of time it takes to install new wall tiles is relatively minimal. The whole process can be done in a single day and the end result will be a new look that can maintain its luster for a full decade or more. Yes, sometimes the best investments are the simple ones. Tile is a very ancient building material, used on floors, ceilings and roofs for 5,000 years. Now there is something new in the world of tile. 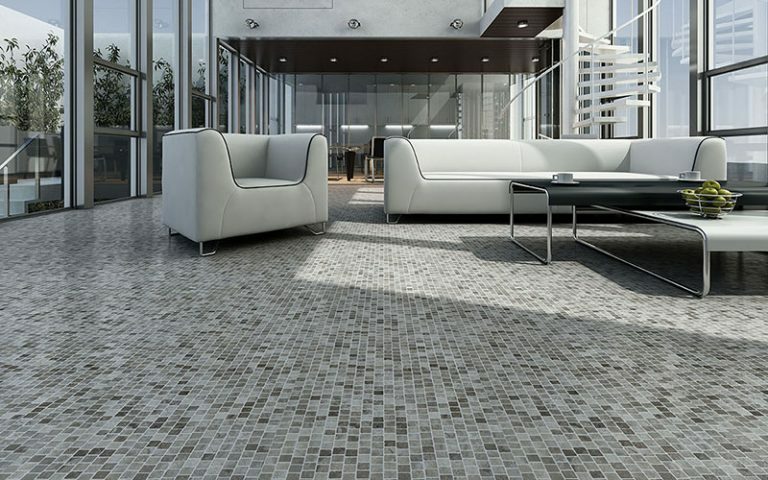 Mosaic Miro manufactures the most amazing contemporary natural stone mosaics in a wide variety of colors and patterns. Suitable for either residential or commercial applications, this tiling is guaranteed to add elegance and sophistication to any room. The mosaic tiles are handmade in Java, where the company is very careful to minimize their impact on the environment. Pebbles and stones are collected, processed and glued onto mats. The edges of the mats are specially designed so that they interlock, resulting in a seamless floor. These mosaic tile floors can be installed by professionals or by a competent do-it-yourselfer. Outdoor terraces present the perfect application for these tilings. Terrace tiling must be durable, above all else. The tiles will need to be able to withstand heavy foot traffic, furniture, spilled food and drinks, chlorinated pool water, rain, snow and hail. Fortunately, stones are nothing if not durable. A wide variety of colors and patterns are available, from light to dark. Their Beachstone pattern shows variously colored small stones laid in a random pattern. A very formal terrace tiling could be easily accomplished by laying any of the geometric Mosaic patterns, available in numerous natural stone colors. The Figuras tiles are incredible. The intricately patterned tiles display leaves, waves, puzzles and even teapots. One of the Terrazzo patterns is a multi-colored random pattern which somewhat resembles an ancient Roman floor. The Palladiana line utilizes small randomly-shaped pieces of stone; some tiles are mono-color while others are multi-colored. Beautiful easy-to-care-for terrace tiling will be widely admired by all who see it. It will enhance and complete the beauty and value of the home. These beautiful tiles are widely used in European homes and in many commercial applications. 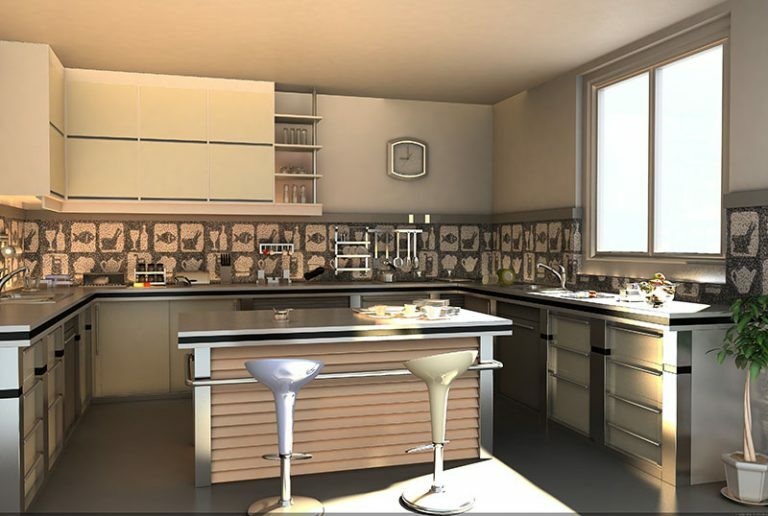 The company works with designers and architects to design custom applications. Tiles can be shipped anywhere in the world. Mosaic Miro’s unique natural stone tiles enhance any area where they were installed. Terraces beautifully display the uniqueness and beauty of the natural stone tiles. You may be interested in working with a company that can help provide high quality floor tiles for any room in your house. Mosaic Miro has the experience that you may need to help install a new set of tiles that you need. They also have a wide variety of different materials that they can utilize for your home. Think about whether you may want to get linked up with a company that is dedicated to transforming the appearance of your flooring. They can give you expert advice on what kind of tile you may want to integrate in to your home. It is first important to think about what sets Mosaic Miro apart from many other tiling companies out there. This company is equipped to help people find the right materials that they need to get started. They should think about the high quality stones that go in to crafting these all natural tiles. Many of the tiles are comprised of stones that have been gathered from all over the world, including the island of Java. This has allowed Mosaic Miro to develop the products that you need to craft a unique look to your home. You can trust the materials that you buy through this provider to help transform the appearance of any room in your house. You should think about whether you can get linked in to a company that can also provide durable materials as well. Since you will be spending some time applying these flooring materials, you will want to make sure that they will stand the test of time. This is a major benefit to using all natural stone tiles in your home. You can rest assured that your tiles won’t crack or chip easily, just a short time after you have had them installed. Talk to a committed team soon to find out what you may be able to get for any sized room in your home. 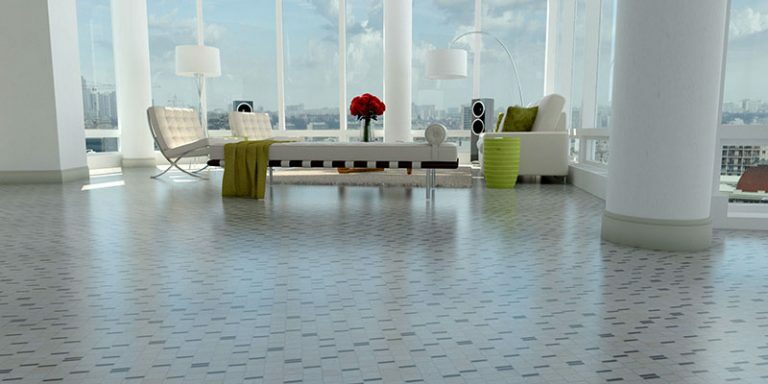 Many home owners are also interested in applying floor tiles in different unique patterns around their rooms. This team can actually show you some of the basics of crafting these patterns. They will be capable of showing you how to plan out your tile patterns and how to set them in to the grout. This will ensure that you can get the perfect look that you need for any room in your home, so be sure to talk to them soon. Mosaic Miro is specialized in delivering the best handmade mosaics from Indonesia. Contact us if you want to know more about selling our products.